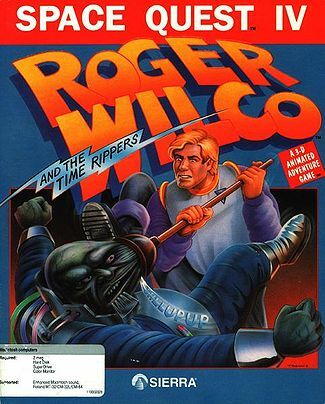 In the Space Quest series, the player-character is Roger Wilco, a janitor who saves the universe (though usually by accident). In Space Quest IV, Roger travels back and forth through time and the Space Quest games (visiting past and future games). The narrator of this installment is Gary Owens, best knows for his appearances on Laugh In, The Gong Show, and Space Ghost.